I am in love with the piggy mitts! Who knew that knitting a teeny tiny mitten in the shape of a pig could give me endless joy. I learn something new about myself every day. These mitts were supposed to be a Christmas gift but I already gave them to her today. Sadly, the toddler is a 2 year old and refused to put them on her hands when I gave them to her. She did keep looking at them though. I am sure when it's freezing cold outside, she will be wearing them faithfully. Oh and I also found mitt clips on amazon so that they stay with her! I knit up this alpaca cowl using a pattern from my head, it's another Christmas gift. For some reason, everyone is getting a cowl this year - and I have four more to make! Gah! Do not be fooled - I love knitting cowls and I want to make one for me as well. It's the perfect accessory for chilly weather. I finished quilting and bound a baby quilt, then sewed and cut the steek on baby's sweater, now I am finishing the button bands!! 2 finishes in one day. Maybe I will rest tomorrow? Love the piglets!! 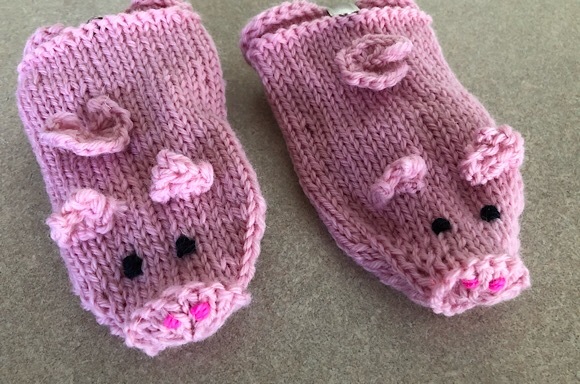 I'm knitting fingerless mitts for Christmas presents, and I wish I had someone to knit those adorable piggy mitts for! Those mitts are adorable. 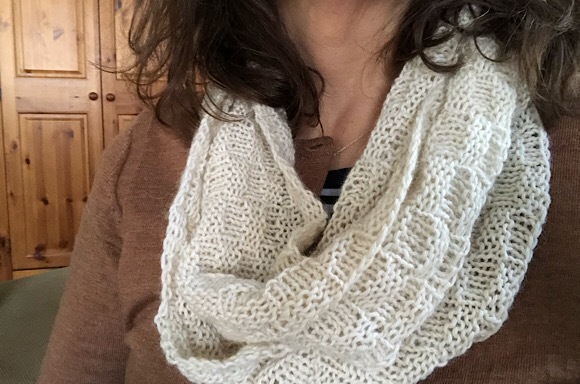 Have you seen the Hillview Road Cowl? I love that stitch pattern. Christmas is coming way to fast, isn't it? It was all about the scrappy blanket in my knitting world today. Oh those piggy mitts were a joy, I am sure they will soon become a firm favourite. oh those piggy mitts! (and yay for the clips to keep them with her). I'm still working on sleeve #1 of my cardigan. not nearly as cute as those little pigs! Goodness! Those piggy mitts are adorable! And that cowl! I wish I could figure out why, but I've been obsessed with it since the day you introduced it. Those piggy mitts are just the best! I want to make fingerless mitts and a cowl for some Christmas gifts...so far neither are started. I am working on a sock though! Those mitts are so cute! My 3-year-old daughter is a Peppa Pig fan, too, and she would love those. Going on my to-knit list. 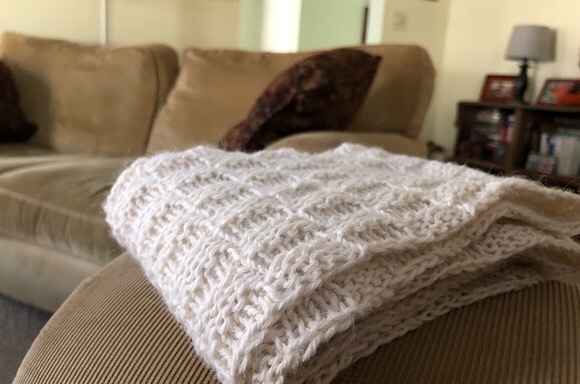 Lovely cowl -- looks so cozy. I love those mittens! They are adorable! Those piggies are darling. Just darling. They will be treasured. Mitten clips are a great idea. Today Im surprise knitting. ALL Day . I've taken this day with NO plans to really work on this project. If you ever want to make me a cowl ;O)...I'd wear it lots. These piggie mitts are so fun! She will love them. Two year olds are fickle at times. I predict that one day she will wear them and won't want to take them off. They are darling and mitten clips are a great idea. I am knitting thumbs on one more pair of fingerless mitts. The cowl looks cozy and pretty. Oh those piggy mitts are tooo cute! 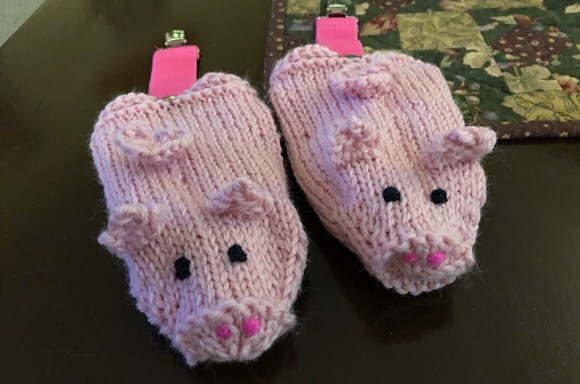 The piggy mitts are so cute but isn't it amazing when you've made something for a little one ...you're all excited for them, and.....they won't wear it. lol Kids are amazing.